Our Popular Shade Sails are now available as Roller Blinds! 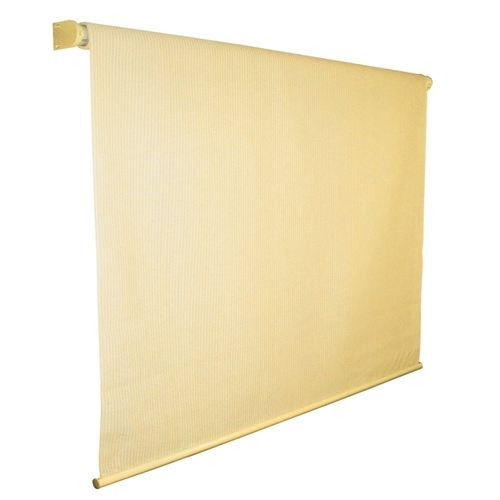 Perfect for indoor or outdoor window treatments or for your patio area. Our Roller Blind Shade Sails protect and shade your outdoor areas and provide excellent protection from the sun and its harmful UV radiation. Roller Blind Sail Shades make an attractive addition to any property, and with the right design, they can enhance the existing property with artistic or architectural flair and style. Roller Blind Shades are the ultimate in stylish sun protection. Available in a variety of sizes, Roller Blind Sun Sail Shades are a decorative and affordable way to create shade that will keep you more comfortable in hot weather. These state of the art materials block the sun's harmful UV rays yet remain totally unaffected by moisture and natural temperature extremes. The heavy duty Polyethylene material will keep you cooler and out of the hot sun. This unique state-of-the-art mesh material will block the sun's UV rays. With the easy roll up and roll down design, you can convert any area into a "shade zone" quick and easily. Washable with regular soap and water. 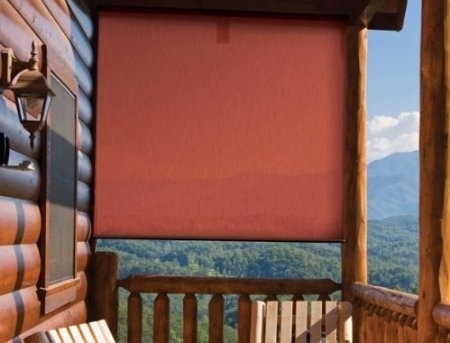 These shades won't grow mold or mildew and are completely durable through all seasons. The roller blind sun sail shades have a specialized lock-stitch knit that creates raised channels that catch and pull air underneath, while providing the ultimate in strength and durability. Constructed of Heavy Duty (185GSM) polyethylene fabric. The shade sails are available in a wide range of sizes. Shade sails are remarkably strong with amazing longevity to remain installed in hot/dry climates as well as cold and damp climates. Optimum Ventilation: The fabric enables cool air to penetrate the shade sail, offering an airy, comfortable, and well-ventilated space. Ultra-Violet Protection: US Shade Sails provides 89-93% ultra-violet and shade protection helping to reduce the source of skin cancer, the fastest growing cancer in the United States. Free Air Conditioning: US Shade Sails will lower the ambient air temperature reducing your properties cooling cost and energy consumption. With the right design our shade sails will pay for themselves over time. NOTE: Customers in the Cont US. are qualified for our FREE SHIPPING PROMOTION!!! Shipments to Canada, AK, HI, PR, and other US territories are subject to a shipping charge of $19.95. Please inquire about shipping to other locations. 6'x8' Roller Blind Shade Sail including the mounting rack.